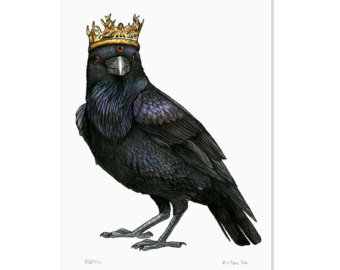 The three eyed ravens are refugees (with working permits) from different groups. Our main goals are raising money and serving 36 hours together – easy!! Our Secondary goal – winning with style (by using the three- eyed raven abilities). Third goal – having lots of fun and good birding – again easy!!!! Tuvia became interested in birds at the age of 10 in Petach Tikva where he grew up. Birding for him is much more than a hobby and profession, it is a way of life. 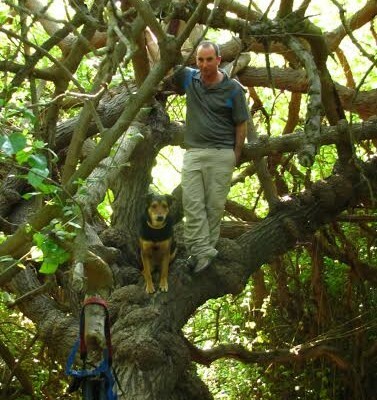 He goes out birding at every possible opportunity and also works at it, he usually conducts surveys and occasionally also guides. 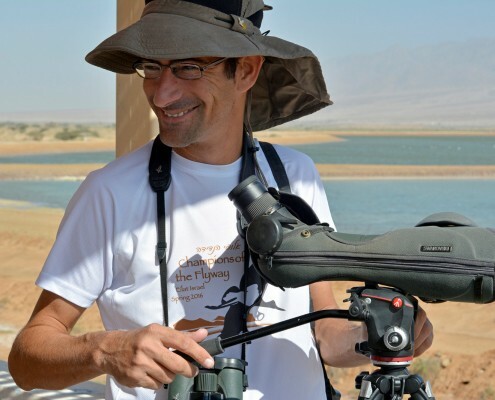 Tuvia recently writes a blog about his birds and activities and also manages several Facebook birding groups. This is his second year taking part in Champions and he is ready for the challenge! Darren is a Beer drinking, football crazy bird ringer. Originally from Wolverhampton he has been living in Israel for 11 years and will probably live here as long as it’s great for birds, although not so good for beer and football. 40 years old (no crisis as of yet) married and father to twins. 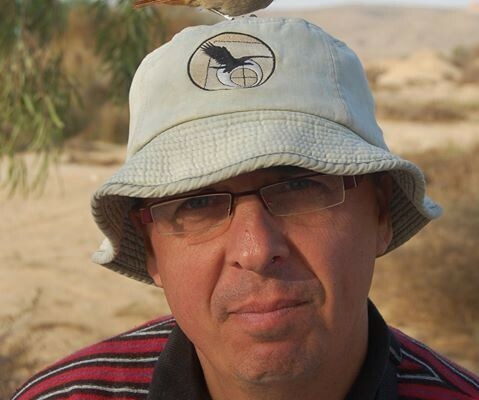 Works at the ministry of environment and spends most of his time birding in the Negev. Herling is armed with Swarovski bins and a Canon camera with a 400 mm lens. Main role on the team: Driver, provider of good vibes and pressure adjuster.